If you pass by the Zero Mile landmark, RBI Road, Nagpur, you will be a witness to a stark contrast. 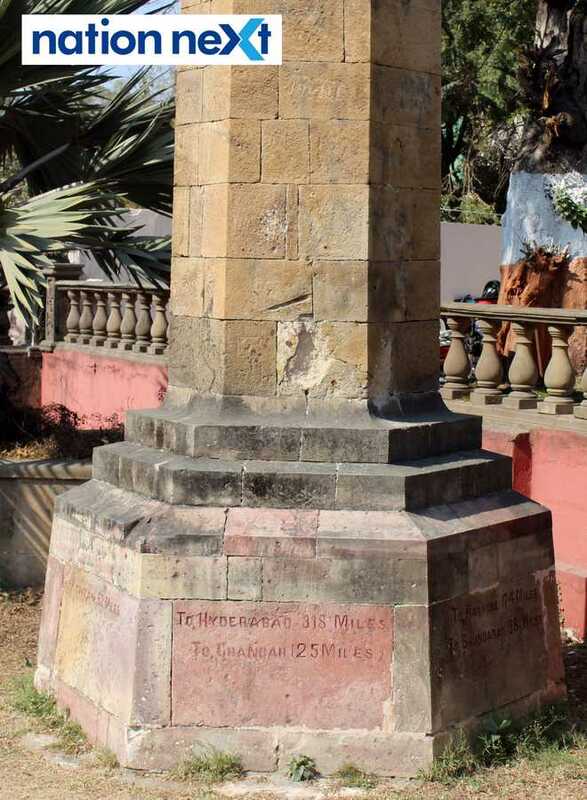 Zero Mile Stone, which is a 110-year-old historical structure and is often called the geographical centre of India, awaits maintenance from the authorities, even as a Nagpur Metro engine stands in all its glory just besides the Zero Mile compound. While one cannot be more than happy with the fast paced Nagpur Metro and road constructions being carried out in the city, it’s equally disappointing to see historical structures being so mercilessly ignored by the authorities. While the Zero Mile compound is full of dry grass and leaves, the Metro compound boasts of fresh green patches of grass watered regularly. The Zero Mile pillar, in fact also has a visibly huge hole on it. The pillar along with the Great Trigonometrical Survey (GTS) standard benchmark and the stone horses are all covered in dust. As per sources, a demo of the Nagpur Metro engine will be held in the morning on January 26, 2018, on the eve of Republic Day. We just hope that on that day the authorities also realize the need of maintenance at Zero Mile, a milestone which stood even when India became a republic 69 years back.